An Apple Tree in Space? Have you come across enthusiastic headlines and captions like the ones above, for the past week or so, in dailies, weeklies, blogs et al? No? Well then, allow me to be the bearer of some exciting and interesting tidings. 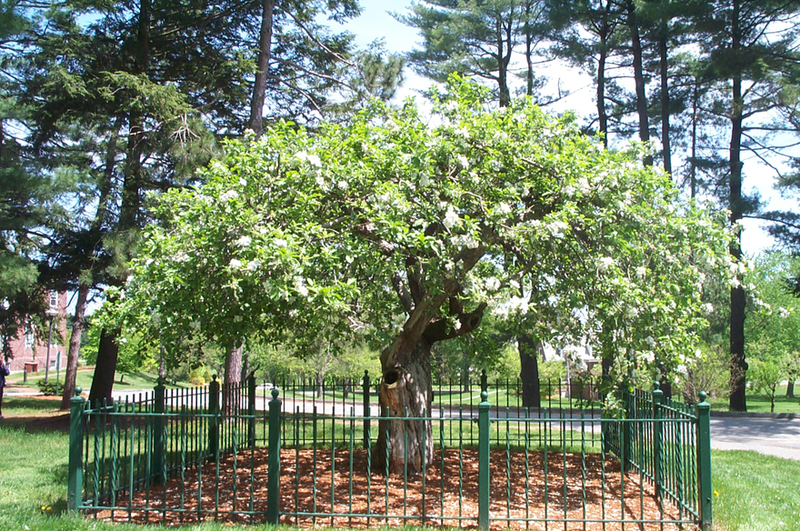 Remember the illustrious apple tree underneath which young (twenty-three year old) Isaac Newton, physicist and mathematician, sat one afternoon, mulling over all the concepts, ideas and notions vying for attention inside his head? And then the aforementioned tree deemed it the right moment to plop an apple next to him. If it were any other mere mortal, I think s/he would have picked up the apple, dusted the dirt off, taken a crunchy bite out of it and gone on with their musings. Not so our man of the moment, Sir Isaac Newton. 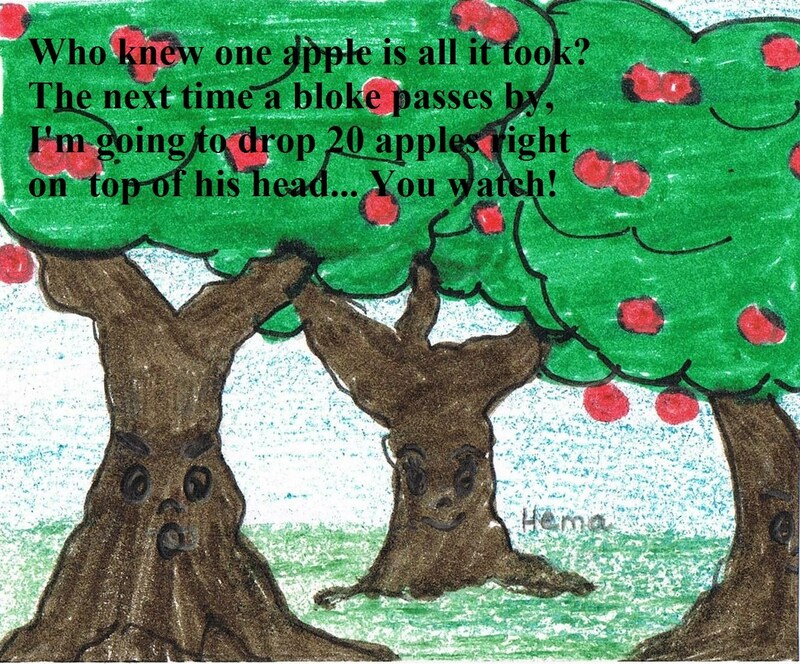 The wheels of his mind began to turn faster: Now, why did that apple fall straight to the ground? Why did it not travel sideways a bit before it fell? Or, why did it not just fly upwards? A light bulb went off inside his head: Of course! It is because earth pulls things towards it. And from thence was born: The Universal Law of Gravitation. It was occasion’d by the fall of an apple, as he sat in contemplative mood. Why should that apple always descend perpendicularly to the ground, thought he to himself … Why should it not go sideways, or upwards? But constantly to the earth’s center? Assuredly, the reason is, that the earth draws it. There must be a drawing power in matter. Where does the apple tree in space enter into the picture? I’m coming to just that. Now, isn’t that exciting? What do you think Newton would have said if he were around? He definitely would have approved. The piece of the tree will be returned to the Royal Society following the Atlantis’s return to earth from the twelve-day flight. If you were given the chance to pick one thing that would be made part of a time capsule to be buried (don’t know how that would be done, but let’s just leave it at that for now) in space for extra terrestrials to find, what would you choose? My answer: A bottle of water from the Pacific Ocean. Why? Because some of the earliest forms of life on earth are believed to have originated inside the ocean. NASA’s Mission Page – Has videos of the lift-off of the shuttle and in-depth information about the mission. This was a great post Hema, I didn’t know about that but it sounds fascinating! Great post. That sure was a lucky apple in that it ended up being part of history and not part of his entrails. on May 17, 2010 at 9:11 am | Reply Hema P.
Like Lua, I didn’t know this as well! I’m always learning such fascinating things when visiting your blog. on May 17, 2010 at 11:42 am | Reply Hema P.
Great post, Hema! That’s really interesting! Think about it: the thing that helped prove gravity is going into a no-gravity zone! I would probably put a shark bone in the time capsule since they were one of the first creatures on this earth. Hema, you are amazing! I love your posts. You come up with so many interesting subjects. Sorry I haven’t been around. Still fighting the dental demons, but I do love visiting your blog. What would I put in a time-capsule? Why, a can filled with seeds. Seeds would give whoever found them the opportunity (presuming they could read or listen to instructions) to experience some of the wonderful foods and beauty we enjoy around the world. Thank you, Hema, for a very inspiring and thoughtful subject. on May 18, 2010 at 6:34 am | Reply Hema P.
Thank you, Kathy! A shark bone? That’s a good one! I love antique stores, too, Sharon! They are my ticket to the past without time travel. Do I consider things from 60 years ago antiques? No! Especially since even the most common things lying around the house, where I come from, are at least a few hundred years old :). You’re so sweet, Yaya! Thanks! Seeds? That’s a good one — now like you said, who knows what would come out of our seeds in another world, right? Therein lies a plot for a sci-fi book? ;) Hope you feel better soon!! Thought provoking post as usual Hema! You do have your finger(s) on the pulse(s) of both Literary and Science worlds. I would leave a bunch of pictures in my capsule. We will provide the proof that we existed, but let them try and make heads or tails out of those pics ;-). on May 18, 2010 at 10:36 am | Reply Hema P.
Ha…ha, Barb! So, my guess is that you are working on a dark, fantastical, apocalyptic screenplay. Am I right? And water & soil — great choices! Isn’t it interesting that almost all of us want to propagate the species on earth via this exercise? on May 18, 2010 at 2:40 pm | Reply Hema P.
Very interesting post, Hema! That’s a good question. I like your answer about the water from the Pacific Ocean, but since that’s already taken, how about a cell phone? They wouldn’t know what to do with it, but I think it’s a good representation of today’s society (at least, American society). A nice, humorous, interesting post. Good blog Hema. on May 19, 2010 at 9:42 am | Reply Hema P.
Thanks, Susan! A cell phone? Very interesting! I think cell phones have taken almost the whole world.